Our Help Desk agents can assist you with any issues you may be having with your supported infrastructure. Every single call is logged in our ticketing software, so that we can share that information with you, our customer. We're using that data to analyze call trends, so that we can help reduce calls. 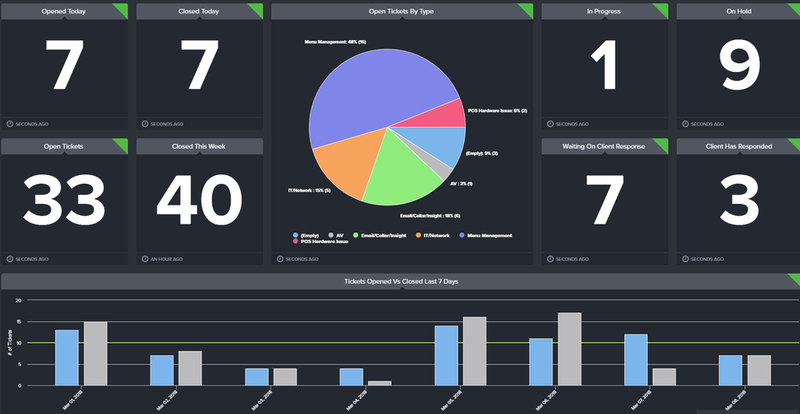 Quarterly or monthly success calls with your Customer Success Manager to review service tickets and identify trends.